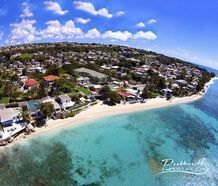 Located on the polo field at Apes Hill, one of the highest elevations on the West coast of Barbados, this property enjoys breathtaking 180° views of the island's coast line and year-round tradewind breezes. 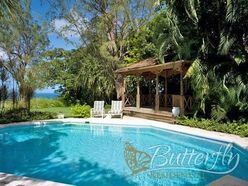 The spacious villa comprises four bedrooms, four bathrooms and a guest powder room. There is a living room, separate family room, office and large Italian kitchen, as well as separate staff quarters and storage space. Covered terraces provide ample outdoor living and entertaining space with two separate seating areas and a dining area serviced through a kitchen hatch with bar. The terrace leads onto a large pool deck with 800 sq. ft. swimming pool. Finishes include stone flooring throughout the villa and marble tiling and vanities in the bathrooms. 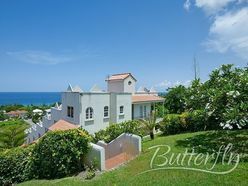 As part of the Apes Hill Development, this villa has duty-free status (for refurbishments / additions / furnishings) as well as rights to golf club membership and stabling for horses.